Safety first! 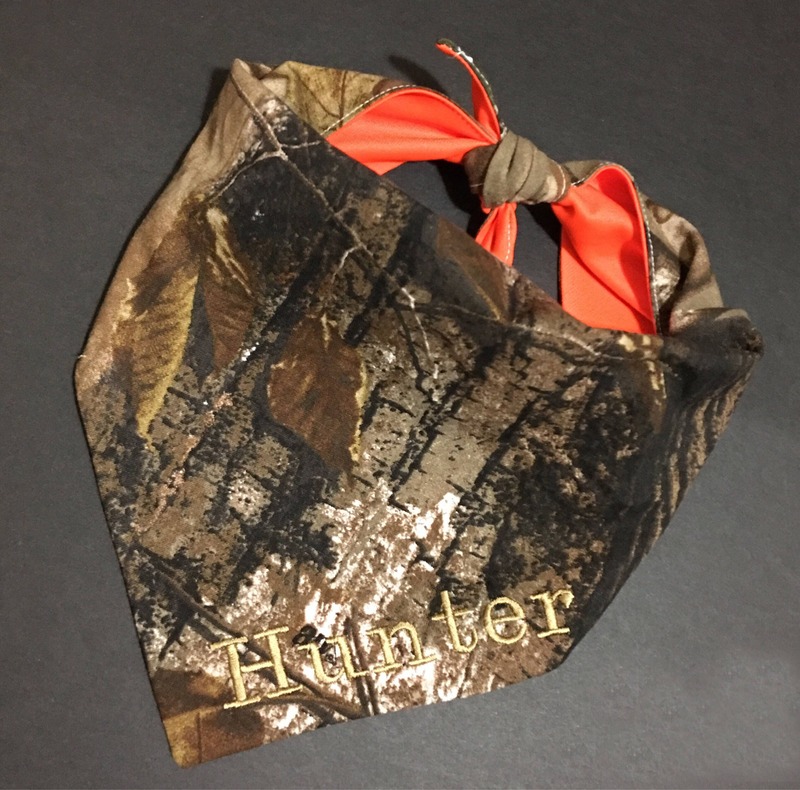 This is a handmade bandana for your hunting partner (or just for any wildlife and nature enthusiast!) Made with quality, carefully chosen fabrics. 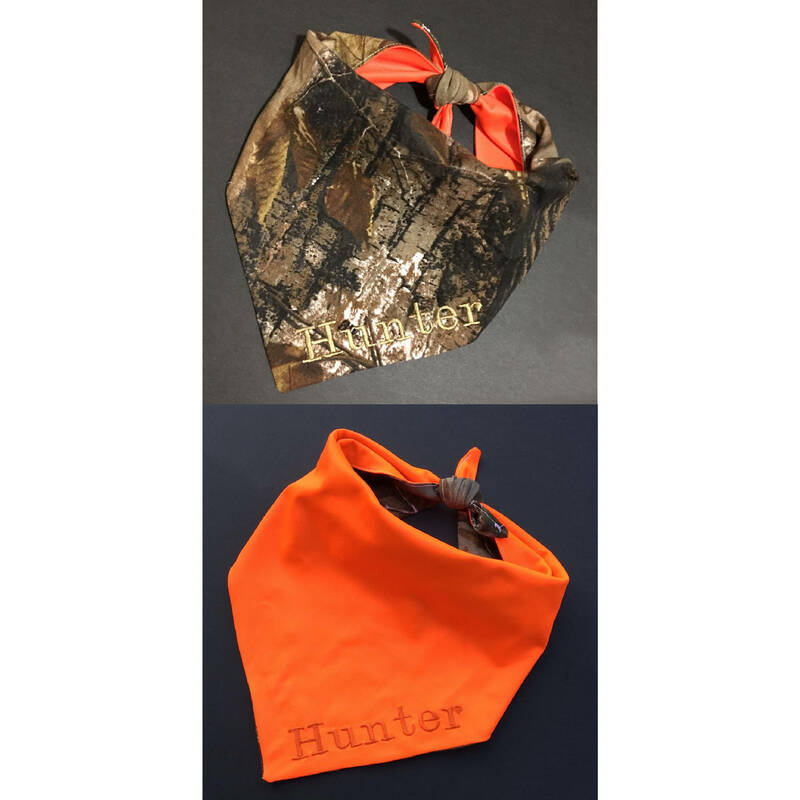 Keep your pet safe and noticed or hidden and camouflaged when needed with this customized bandana. 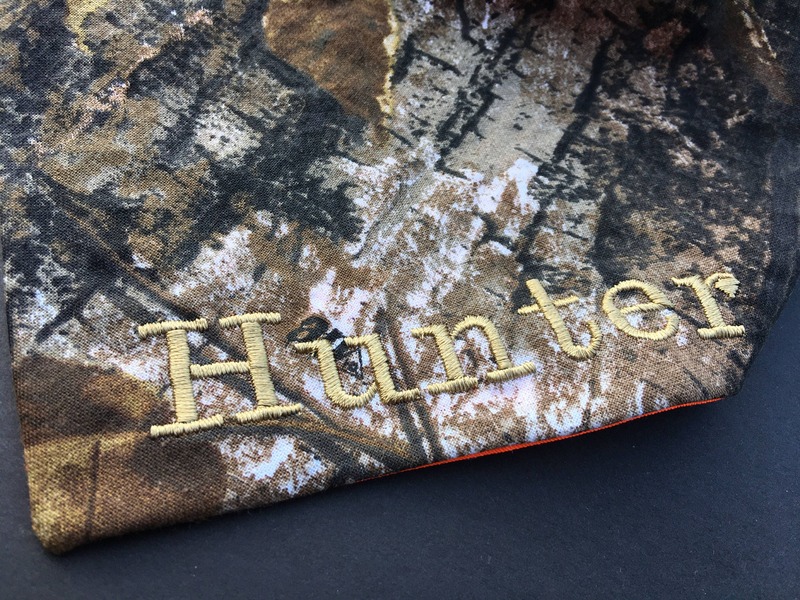 One side features a printed forest camo, perfect for either a hunting dog to stay camouflaged or for any nature and wildlife lover looking to sport woodland fashion. 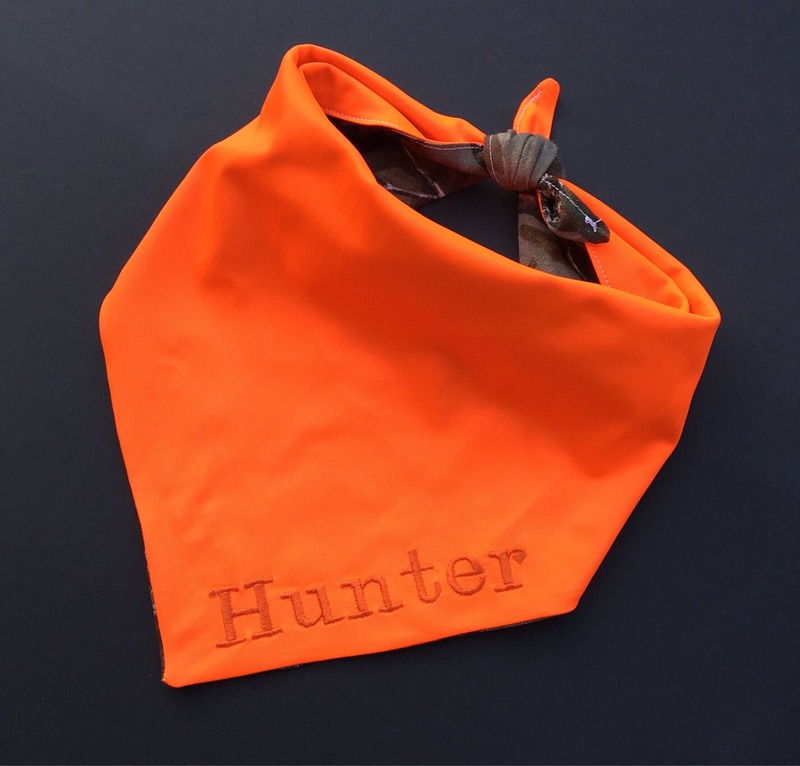 The other side features a bright safety orange fabric so your dog can be seen clearly. The safety orange is great for evening or night walks, or to keep visible for other hunters while still remaining unseen by game. The edges are fully finished for a professional look. 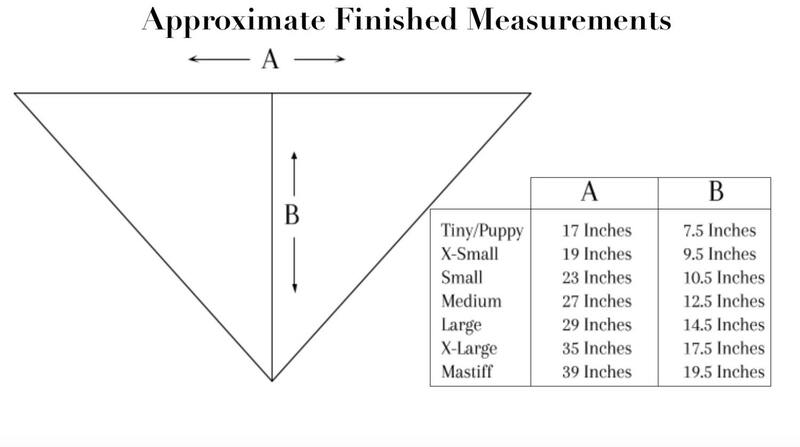 This comes in all sizes from the tiniest puppy to giant breeds like Mastiffs and Saint Bernards. 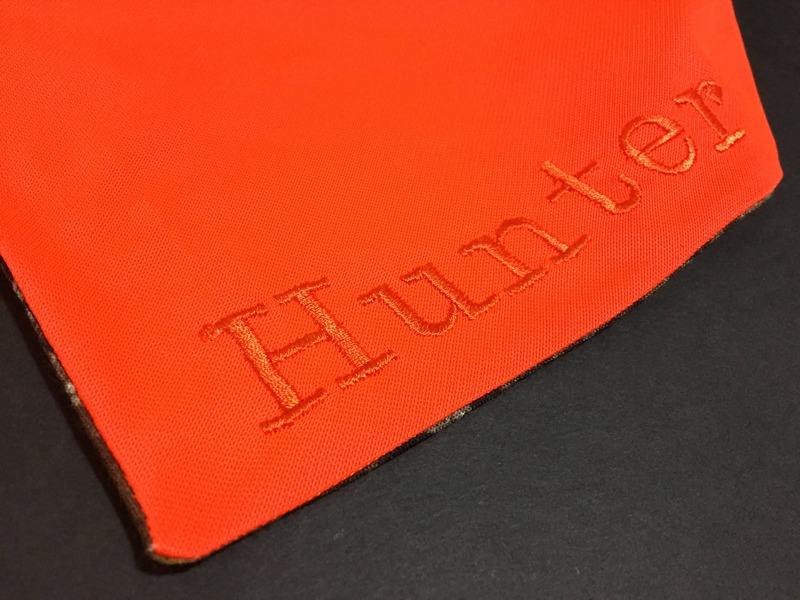 Their name will be embroidered on the forest print side of the bandana in a khaki colored thread, and in a bright orange thread on the safety orange side unless you have a different preference. Yep-two personalized and functional bandanas in one! The same font will be used on both sides unless you specify you'd like a different combo. Just leave the name in the order comments! •Want peace of mind and a tracking number? No problem! Just choose Priority Shipping which includes a tracking number and guarantees delivery within 2-3 business days. •Orders to Canada are shipped USPS First Class International package and does not include a delivery date estimate since it varies by area. *please note that any taxes or duties charged by your country for delivery are the responsibility of the customer.